The neighborhood of San Telmo celebrates the May Revolution, the most important National Holiday on Friday, May 25th from 10 am to 9 pm, with cultural events, folk dances and Gaucho demonstrations, special activities for kids, typical food, a beer festival, an exhibition of antique vehicles, and much more! 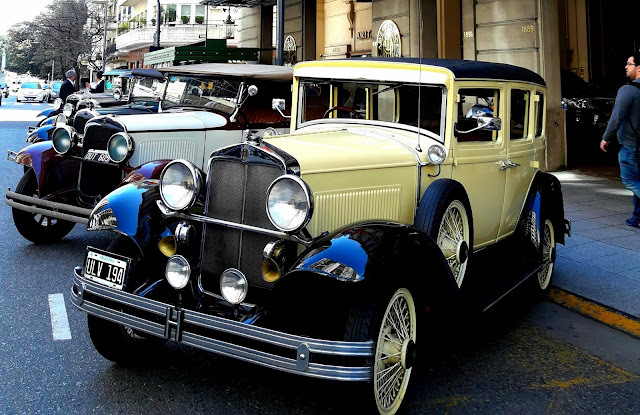 From 10 am to 5 pm: Exhibition of classic cars on Defensa Street, and old Colectivos (buses) on Ave Independencia. From 11 am, the 208th anniversary of the May Revolution will be celebrated with Gauchos and folk dances at Plaza Dorrego, on Defensa & Humberto 1. From 12 pm to 9 pm: on 800 Chacabuco St: the Book Fair of San Telmo + Art Workshops for kids + Folk dances guided by professors + live open air music concerts. From 12 pm to 9 pm, the Market of San Telmo (Bolivar 970) participates of the celebrations with special discounts, the best gastronomy, art and history tours, courses and workshops, and live music in the evening. From 5 pm to 9 pm: at 600 Humberto I St, Beer Life presents folk and rock music shows, stand up, raffles, and the best beer in the country!